DIY Stocking Stuffer: S'Mores in a Jar. Last weekend I spent a day with my mom Christmas shopping and having lunch at Terrain, one of my favorite places. It's seriously so beautiful and I highly recommend taking a trip there if a location is near you! It's like the gardening and small home goods of Anthropologie. All the heart-eyes! One thing that caught my eye as I was in line to pay for my grandparent's Christmas present was an adorable DIY S'mores Kit. How cute! It looked like something fun to add to Mark's stocking so I picked it up to add to my items but then I saw that it was $18. Uh, no thanks. It was literally s'mores ingredients in a mason jar with a bow. 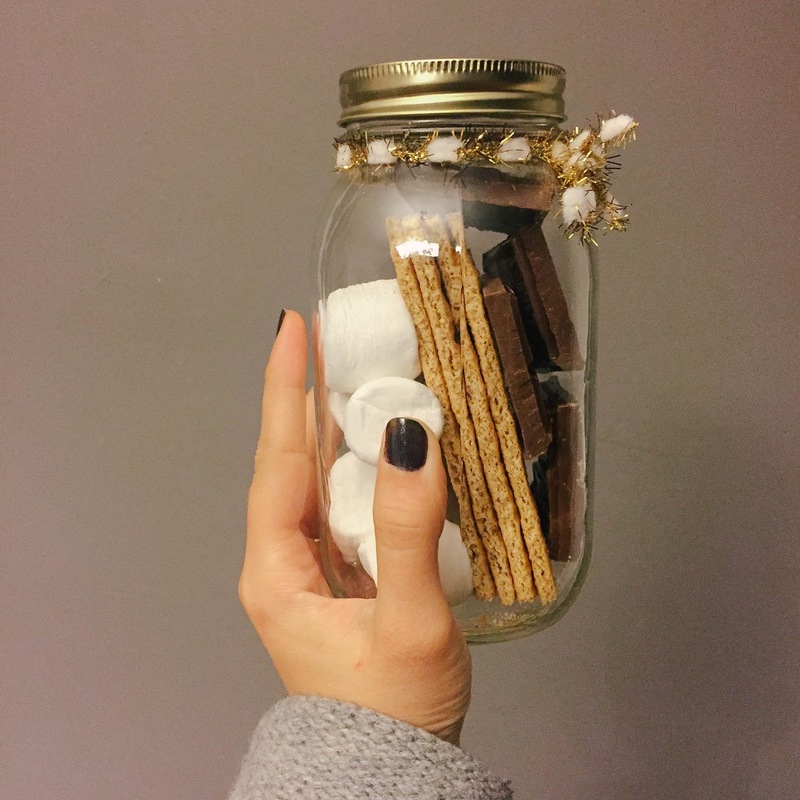 This brings me to today's project: DIY S'more In A Jar! Make sure your hands are clean and the jar is clean and dry inside. 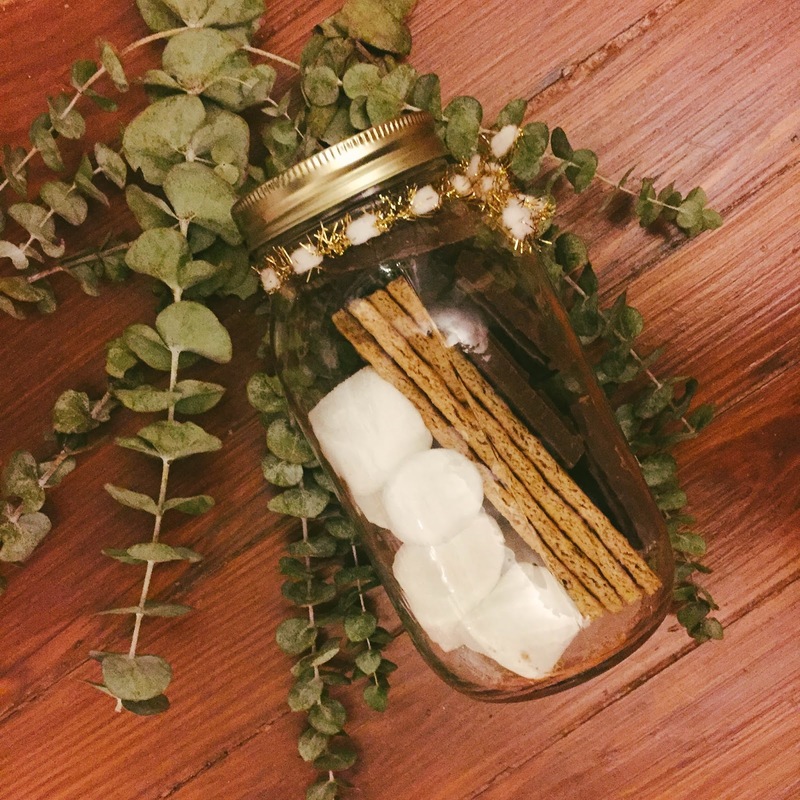 Throw in a few marshmallows, gently lay the graham crackers in (it works best if you layer in an angle) and then break the chocolate small enough to fit in the jar. Below you can see how I assembled mine.